The Death of Minority Shareholder Oppression Claims in Texas? The facts of the Ritchie v. Rupe case involved alleged oppression of an 18% shareholder of a privately held Texas corporation because the majority shareholders who controlled the corporation, among other things, (i) offered to buy out the minority shareholder at a price representing a significant discount to the shares’ fair market value, and (ii) refused to meet and exchange information about the corporation with other potential buyers of the minority shareholder’s shares, thereby making the shares virtually impossible to sell as a practical matter. The lower courts determined that the facts supported a claim for minority shareholder oppression and required the corporation’s majority shareholder to purchase the minority shareholder’s shares for a redemption price of $7.3 million. The Texas Supreme Court reversed that ruling on the basis described above, but it left open the possibility that the minority shareholder might still pursue a potential claim against the controlling shareholder for breach of fiduciary duty. The Ritchie v. Rupe case overturned several lower court opinions and opinions in other states which generally allowed claims for shareholder oppression merely if the majority shareholder’s conduct either (1) substantially defeats the minority shareholder’s reasonable expectations in joining the company (the “reasonable expectations” test), or (2) (i) is “burdensome, harsh and wrongful,” (ii) involves “a lack of probity and fair dealing in the affairs of a company to the prejudice of some of its members,” or (iii) involves “a visible departure from the standards of fair dealing and [fair play]” (the “fair dealing” test). 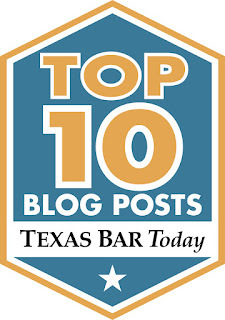 The bottom line is that it is now much more difficult for a Texas minority shareholder to successfully bring shareholder oppression claims in Texas. The take-away is that now it is even more important than ever for shareholders of privately held companies (especially minority shareholders) to enter into shareholder agreements to protect their rights and to provide for a contractual mechanism for a shareholder to exit the company.